 Drum & Bass | DNB Magazine - Premiere Drum & Bass news and reviews. Featured Releases	Don’t Stop and Get Slapped! Techstep	Your mind will be receptive to the awesomeness! NeuroHop	This Neurohop is Fire! Neurofunk	Have you taken your RedPill yet? Techstep	Go Nen LP – 5 Yrs! NeuroHop	AKOV is a monster!